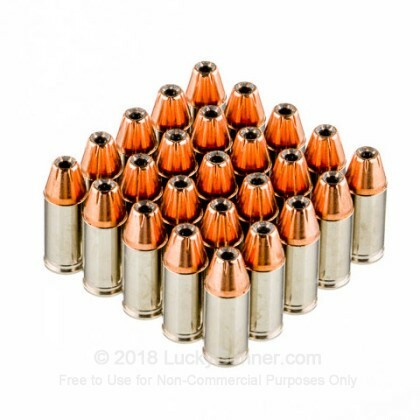 This 9mm jacketed hollow point ammunition delivers high-performance for the most reliable and efficient self-defense purposes. 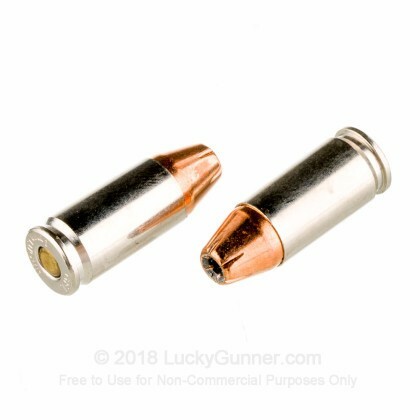 The XTP bullet was designed for exceptional controlled expansion and downrange performance with a muzzle velocity of 1,150 fps. 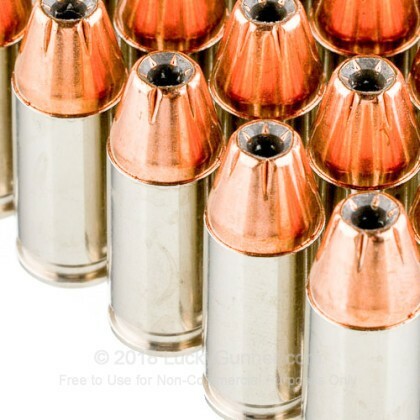 This type of projectile combined with the nickel-plated cases enable smooth feeding and firing in semi-automatic handguns. 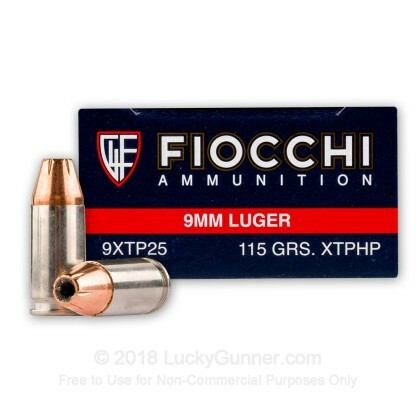 Fiocchi began in 1876 with a big picture and a man with a keen business sense - Giulio Fiocchi. 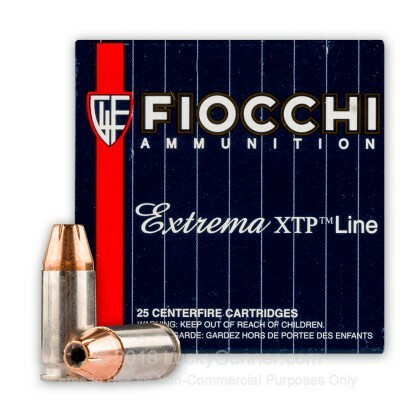 Today, Fiocchi is still family owned and is a world leader in rimfire, centerfire, and shotgun ammunition. 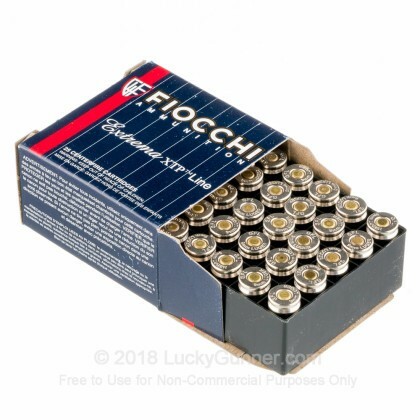 Fiocchi continues to produce quality ammunition for shooters world-wide!